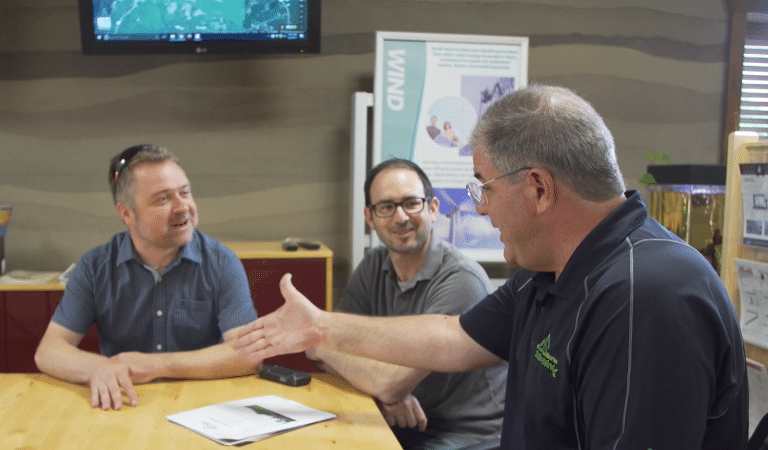 Participants are allowed to supply self-generated electricity, from renewable energy sources, to Ontario’s electrical grid in exchange for credits toward their variable energy costs. One (1) credit is equal to one (1) kilowatt-hour (kWh). The value of the electricity supplied to the grid is subtracted from the value of electricity consumed from the grid and the result is the “net” difference. A net metering system should seek to “net” all variable energy costs to zero; however, the involvement of photovoltaics allow owners the relative ease of choosing the extent of their participation and expanding their system in the future. Credits are generated when more energy is supplied than consumed in a billing cycle. These credits will be applied to your next bill. If more credits exist that are required, they may be carried forward for up to twelve (12) months. An effectively designed net metering system should always seek to take advantage of the summer months when the days are longer and the amount of energy which is able to be produced is greater. This ensures that an adequate surplus of credits exists. These extra credits can be carried forward and applied to energy usage experienced in the winter months when the days are shorter and the amount of energy which is able to be produced is reduced. Located in Haliburton, Ontario, Abbey Gardens decided to enter into Net Metering to support their sustainable forward-thinking beliefs. Watch this video to find out their thoughts on its success. Our founder and owner, Brian Nash, designed his own system and has been living comfortably off the grid, with his family, since 2008!